This article discuss about how to develop ASP.NET MVC application which has loosely coupled modules (or features) which can be developed separately without any directly dependency and those modules can be plugged-in to main application without any extra bit of code. This is specifically useful for product development. Using this approach, each module can be developed separately and deployed/shipped with product separately. This helps in building different version of product like: Basic, professional, premium and enterprise. This loosely coupled feature approach enables to either build separate installer with required features as per different versions or master setup which can install only defined features as per license key used during installation. What is the trick to solving this? A solution for the above problem is to develop application modules independently, without any direct dependencies among them and also on the main application code. Developers should always opt for a modular solution, in which larger modules are easily maintained over time, separately. Once each module is ready for integration, they could be then plugged into the main application with little to no adjustment of the same. 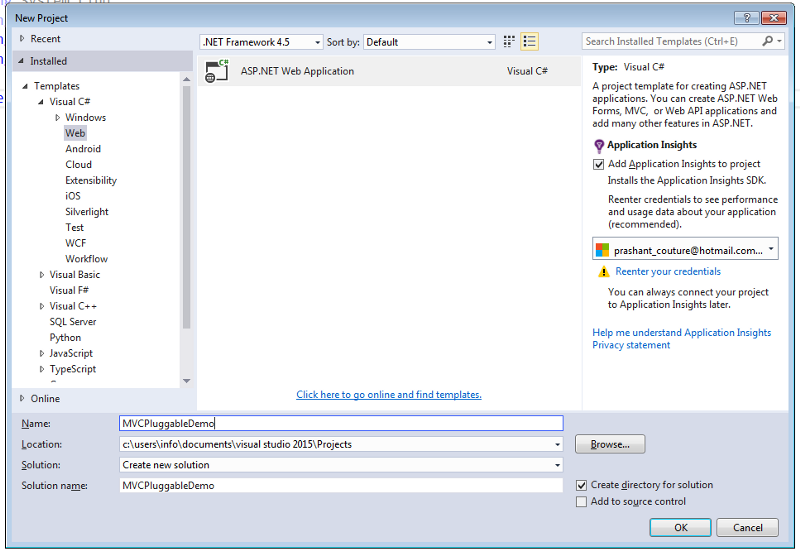 So in short, the structure of a complex asp.net MVC application can be very easily maintained using areas. The concept of this is to allow us to breakdown a large complex application into a several small sections called areas. 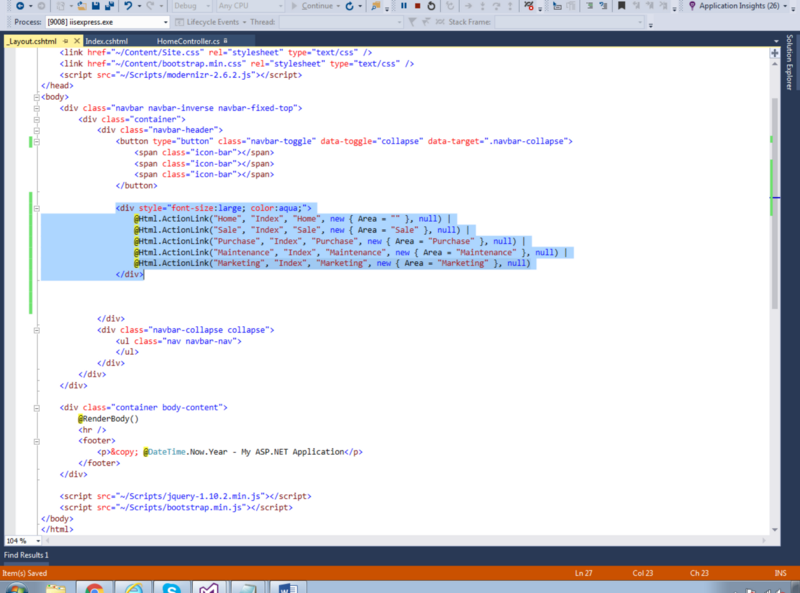 In this article we are going to develop an ASP.NET MVC application that contains loosely coupled modules (independent to main application), which we will further plug in the main application. ü Some other configuration that requires the modular separation technique. 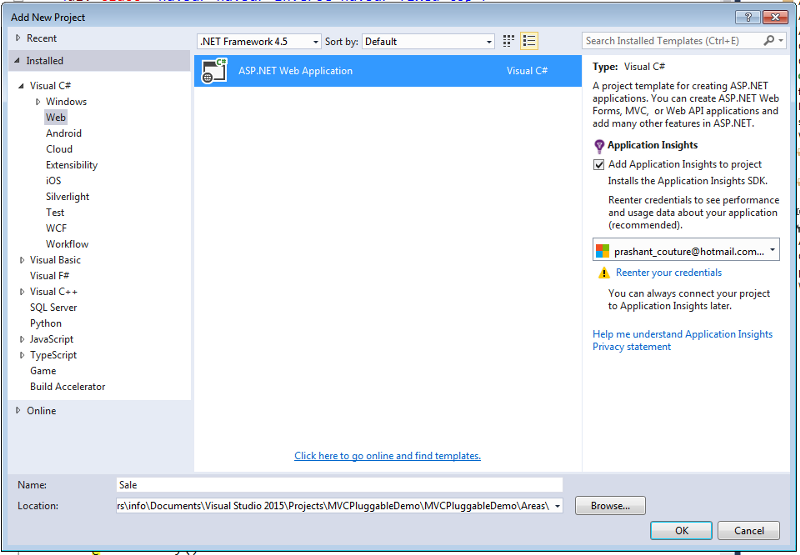 Open Visual Studio 2015 and create an ASP.NET MVC project as follows. Give it a meaningful name (in my case I have used MVCPluggableDemo). 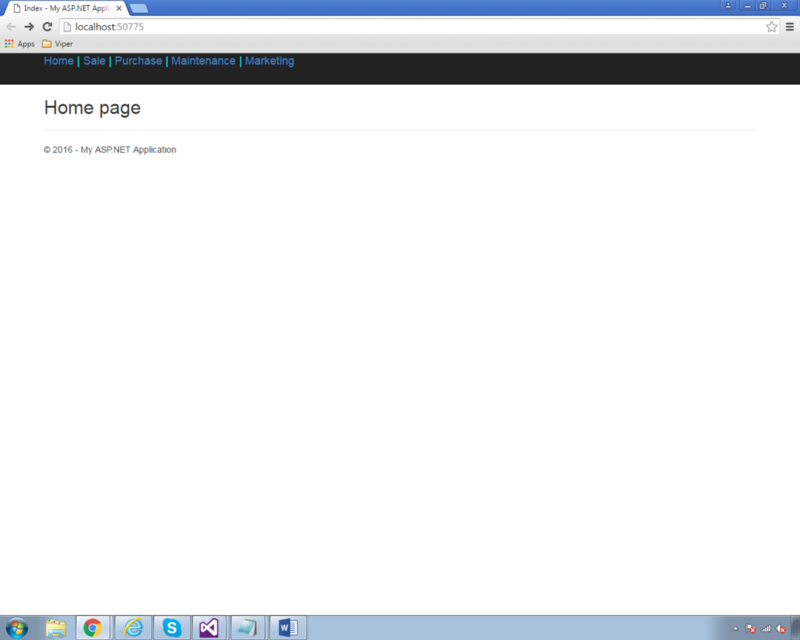 Now we will focus on creating separate modules for our application and then plug them into the main one. 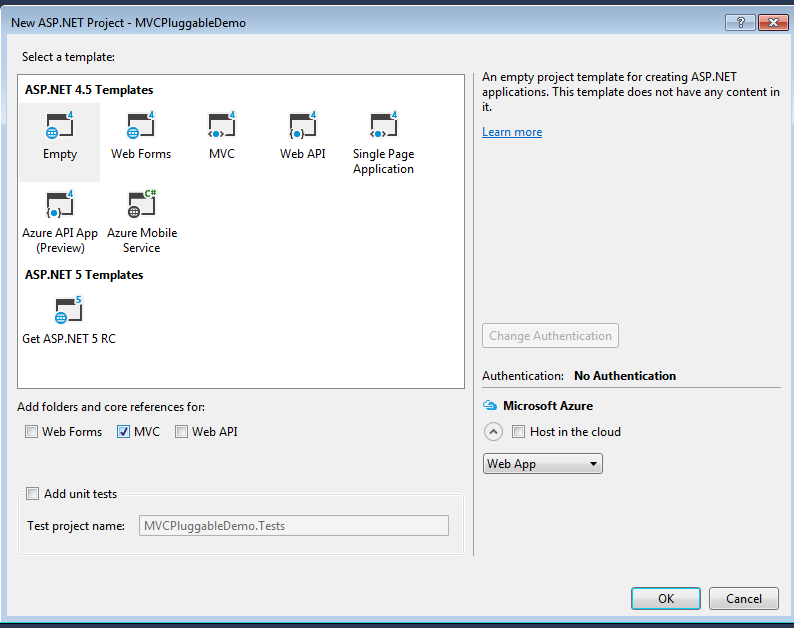 Right-click on the main application project title (as in our case MVCPluggableDemo) in the Solution Explorer and select “Add->Area” from the context menu. 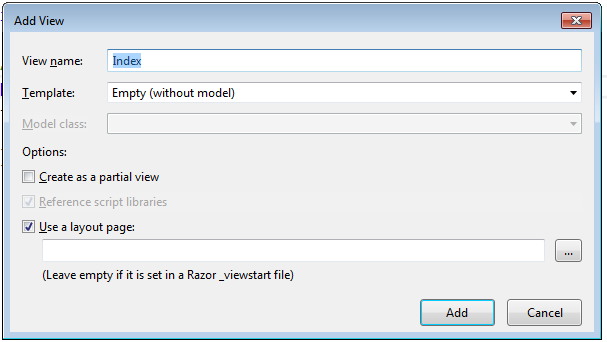 This will create a basic folder structure for the Area framework. Specify “Sale” as Area name and click “Add”. Take a backup of the SaleAreaRegistration.cs file. This file will be needed later on when we add the Sale module to the solution as a separate project. 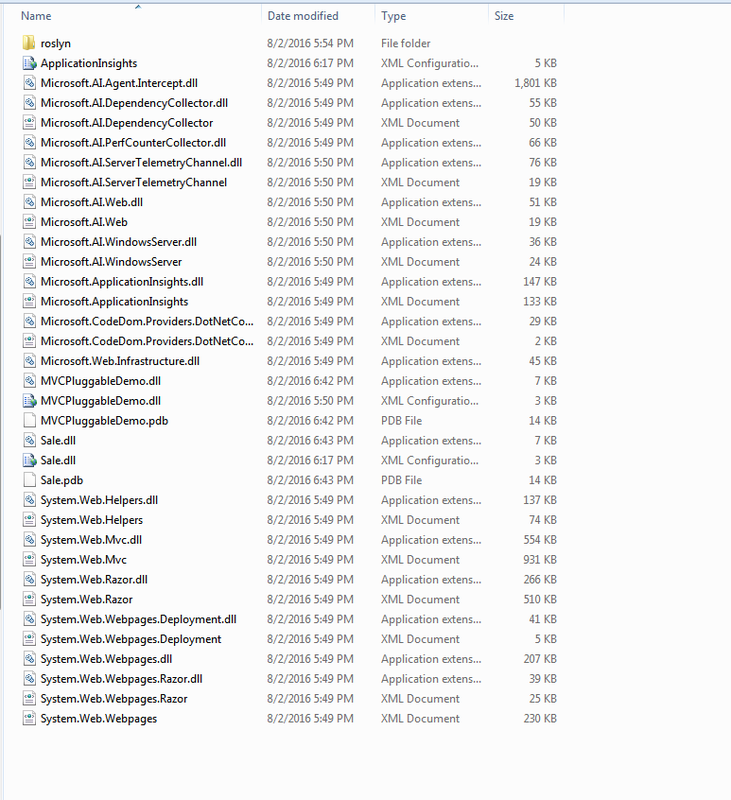 Now remove the Sale subfolder from the Areas folder, keeping the Areas folder in place. Next add the new pluggable module for “Sale”, right-click on the solution and choose “Add-> New Project”. · A new project should be created in the Areas folder (previously created). 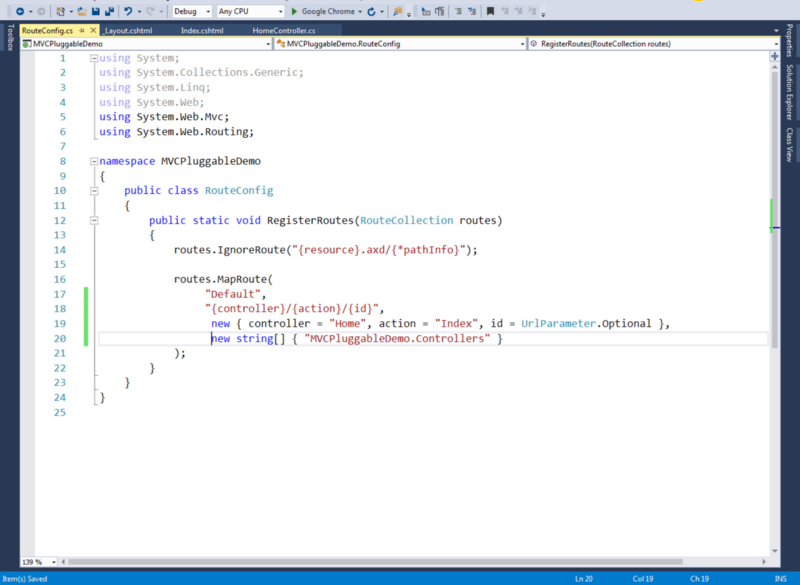 We will also use the other overloaded version of routes.MapRoute() method which takes the namespace of the Controller. 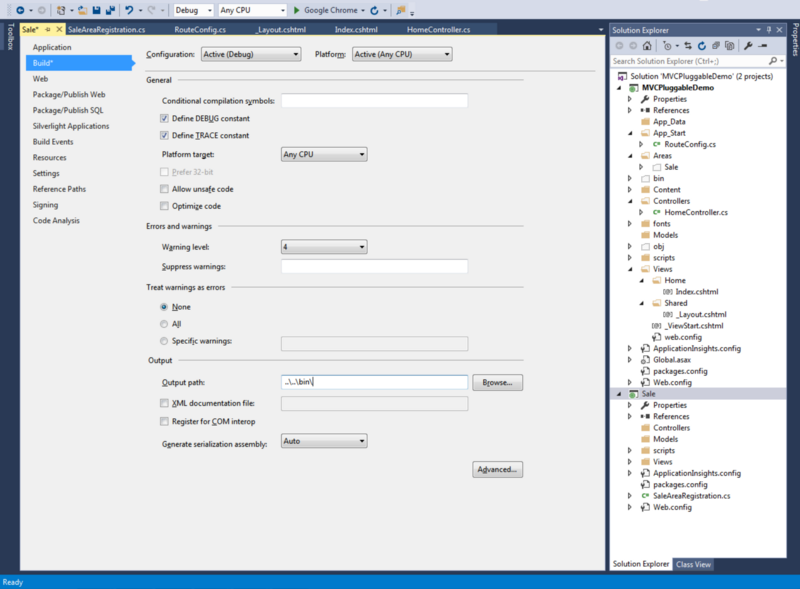 Setting related to connection strings, authentication, membership, role manager, profile, and session state are going to be placed in the web.config of your root directory. 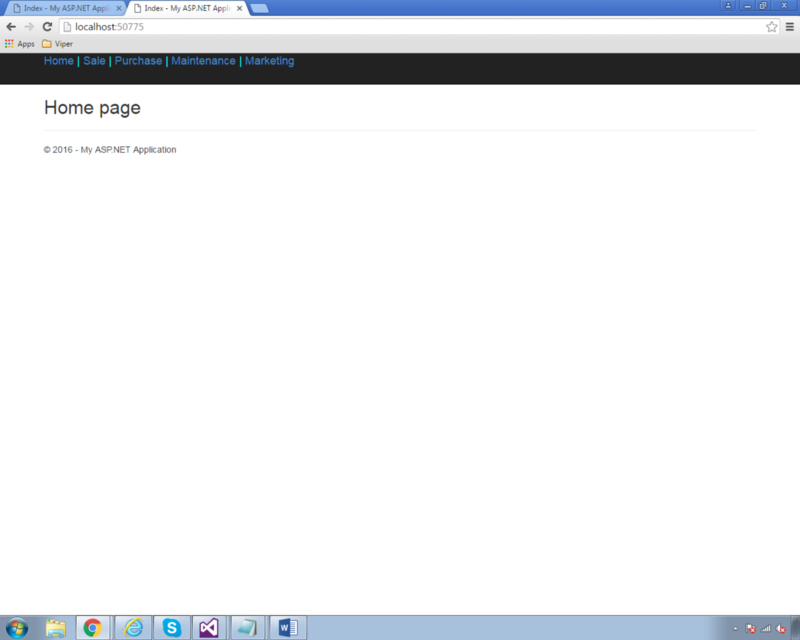 So remove all these section from the sale’s web.config. 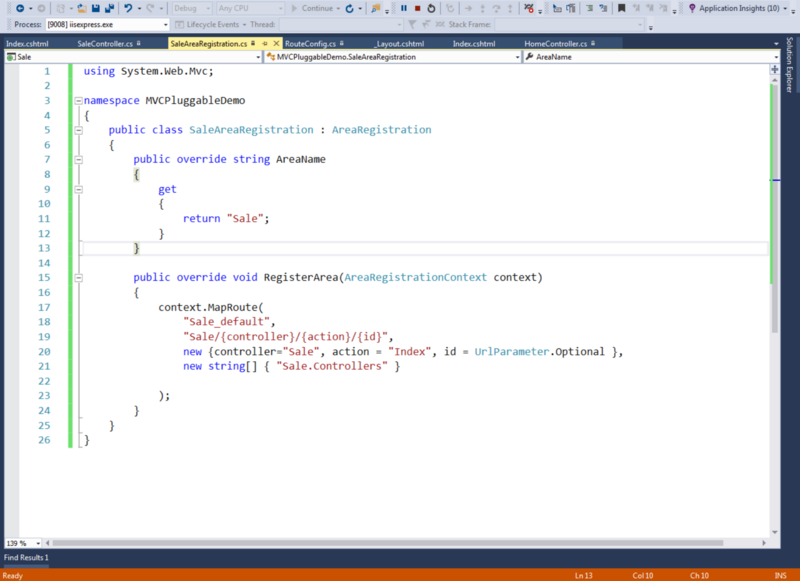 · Create the Sale controller in the Sale project. · Create an Index view and place the content “Welcome to Sales Module” in its header. Now run the application! If you have followed all the steps correctly, it will be working as expected. You can follow the same steps and create other larger modules separately and plug them in to your application. Isn’t it simple yet such a powerful feature when it comes to product development? Post your comments, doubts and queries below. The demo application is also available for download here. Happy coding!